Thousands of Londoners plan to march to Parliament Square this Saturday, protesting against Britain leaving the European Union. 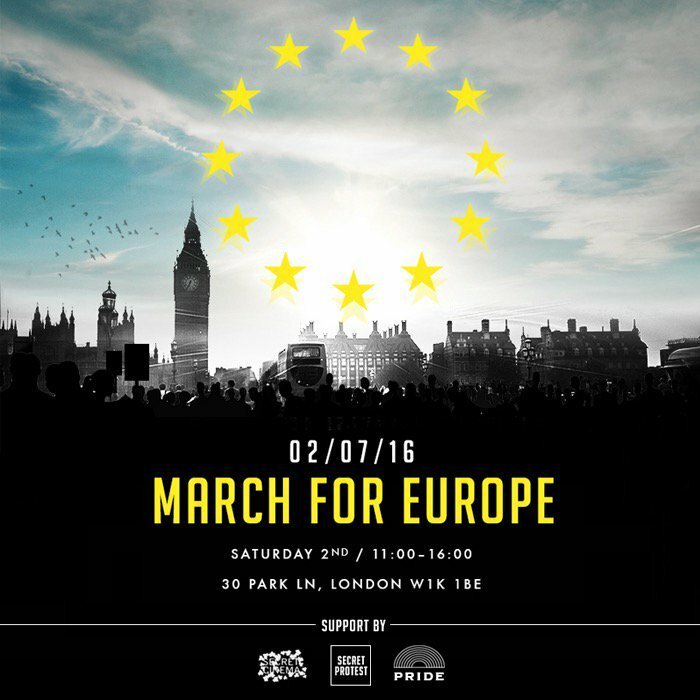 The anti-Brexit March for Europe, organised on Facebook, starts at Park Lane at 11am on 2 July. Protesters will then march on to Parliament Square. According to organisers, "We are marching across London ... to protest the lies and misinformation that Boris, Gove, Farage and their cronies fed the British people during the EU referendum. "Our voices WILL be heard — join this march to show your support for a better, more prosperous, inclusive and kinder Britain, and help build momentum against one of the worst decisions our government will make in generations." The march follows an earlier protest on Tuesday this week, which Londonist attended: see the footage below. March For Europe currently has 21,000 people attending, according to its Facebook page, although actual numbers attending on the day may well differ from this. 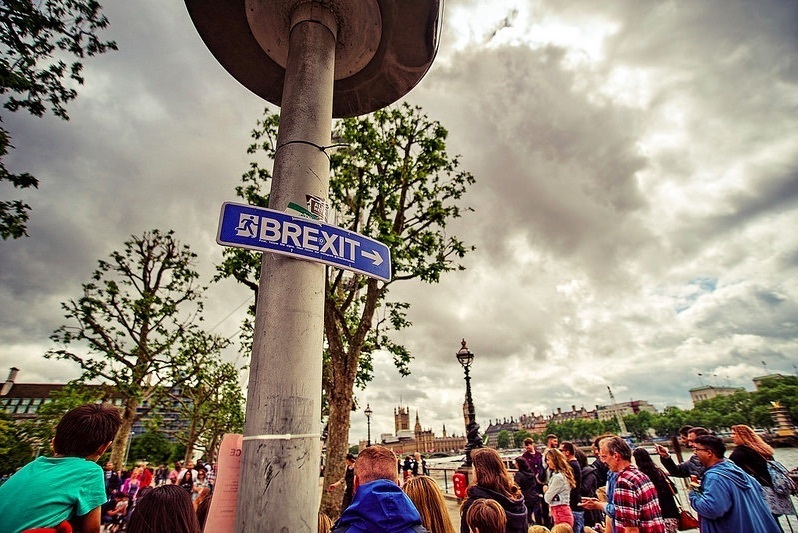 Earlier this week, we wrote about another anti-Brexit event protest, planned for 9 July. This now appears to be a #StandTogether picnic, planned for an as-yet unconfirmed central London park. There's currently 1,000 people saying they'll attend.